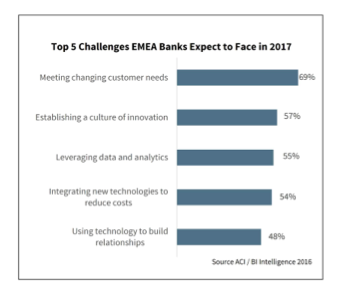 Under pressures from competition, regulators and empowered customers, financial institutions are well aware of the imperatives to change and adopt digital business models and client relationship approaches. Strategic transformation initiatives are typically resource-demanding, long in duration and with many dependencies and uncertainties. The timeline to realisation of benefits lags behind the rapidly changing market, causing doubts in the effectiveness or even in the justification of transformation programmes. This white paper by Synpulse looks at a practical acceleration approach by phased implementation of separate focused initiatives, incrementally achieving the objectives of the big programme. Free to read, download and share, and no registration required! Linedata has expanded its outsourcing business into Asia with the acquisition of Quality Risk Management & Operations (QRMO), a provider of outsourced middle-office, shadow accounting and risk monitoring services to the asset management and securities industries. Who do you trust with your money? Well, if the latest talk in personal finance is anything to go by, we’ll soon be placing our trust in an altogether less warm-blooded beast. Move over mankind: the robots are coming. But not so fast! The European Union’s new General Data Protection Regulation (GDPR) introduces 72-hour breach notification requirements along with severe regulatory fines and consumers and affected third parties now have the right to sue organisations responsible for data breaches. Wealthsimple, a Canada-based online investment management service, is coming to the UK.